Victoria Beckham has been doing her bit to help the victims of Typhoon Haiyanin the Philippines, as she donates her and David’s designer clothes to the British Red Cross. Giving fans an idea of just how much the family were selling today, the British designer pictured a mountains of shoes on Twitter. 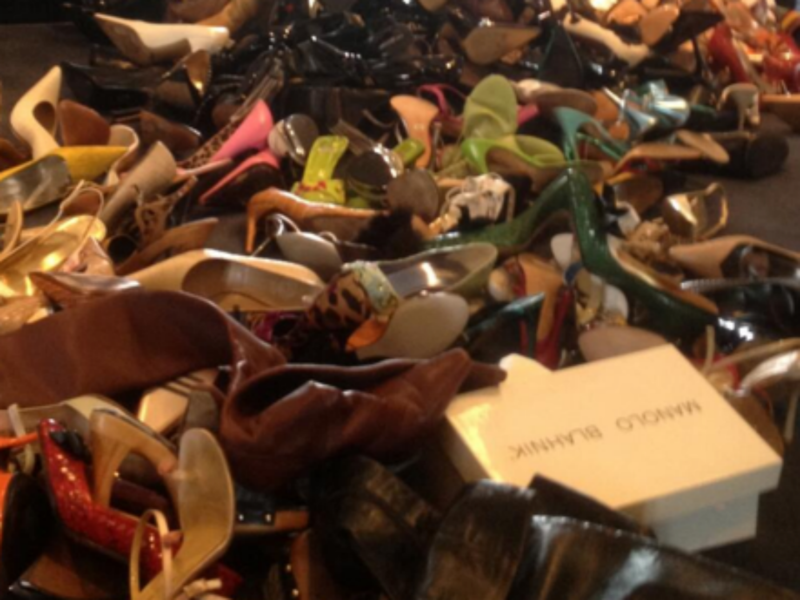 ‘Big clear out of my shoes, on sale tomorrow in aid of @BritishRedCross #ShopDrop,’ she wrote. With coveted designer heels from the likes of Jimmy Choo and Manolo Blahnik, VB is leading by example among the fashion pack. ‘David and I are supporting the Red Cross Shop Drop for the Philippines campaign and we urge everyone in Britain to do the same,’ she said. Speaking of the charity’s gratitude to the Beckhams, British Red Cross Director of Fundraising, Mark Astarita, said: ‘We are delighted to have Victoria and David’s support for the British Red Cross ‘Shop Drop for Philippines’. ‘Their generous donation will enable us to raise significant funds towards the enormous humanitarian operation currently underway: providing survivors of Typhoon Haiyan with urgent shelter, medical equipment, food and clean water. Never mind the box Victoria was sat in, the mum-of-four was gave us a rare glimpse of her off-duty wardrobe as she paired up a simple jeans, hoody and trainers comb. 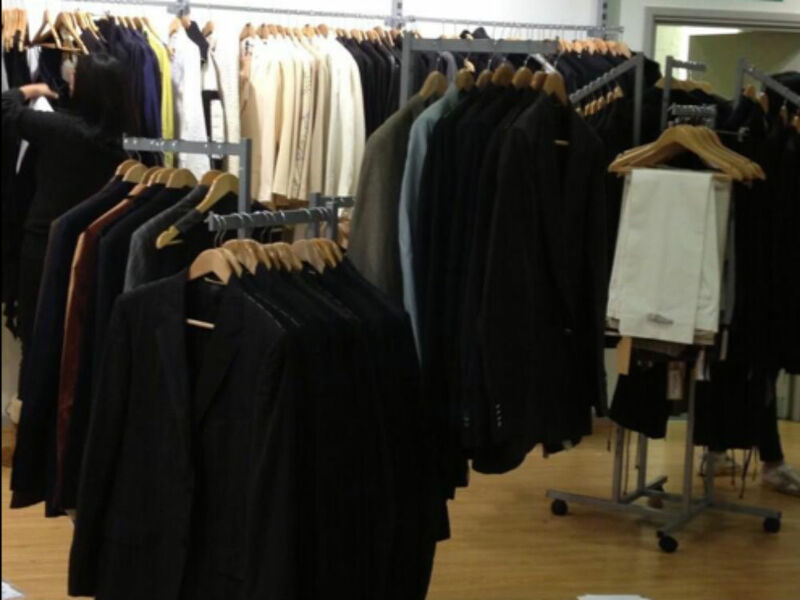 As well as many VB’s shoes, David’s Dolce and Gabbana suits and beloved baseball hats will hit the charity shop rails today. The couple’s matching Dolce and Gabbana outfits from the 2003 MTV awards are also expected to make an apperance, alongside the clothes they wore to the Venice Film Festival in 2006. Victoria and David Beckham’s donations will be on sale at the British Red Cross’ Kensington & Chelsea shop, 69-71 Old Church St, London SW3 5BS from 11am today (22 November). What a great cause. How will you be joining David and Victoria’s #ShopDrop efforts?